10-67 P.D.O.A. was formulated in a nefarious basement in the year 1993 c.e. by Alex Bacon. 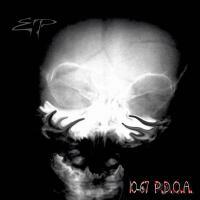 The first demo 10-67 P.D.O.A. was released April 25th 2000. Solely Alex performed on the demo and it is a paradigm of the band in its rawest form. Between 2001-2002 c.e. Alex worked with Daniel Powell and Dean Kobus in Marinette, WI to gather even more songwriting capabilities. Together they contrived an EP that was conceived the 21st of December 2001 c.e. The third and latest observation is respectably titled R.I.P. A compilation of 10 songs from the bands two previous cd's. 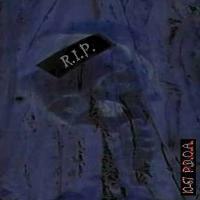 It also features the last 2001 line-up recordings, "Imminent Death" and "Timeless Time"
10-67 P.D.O.A. has captured the attention of the internet community based websites: AudioStreet.net, Mp3.com, GarageBand.com, Iuma.com (Australia), MidnightMetal.com as well as others. 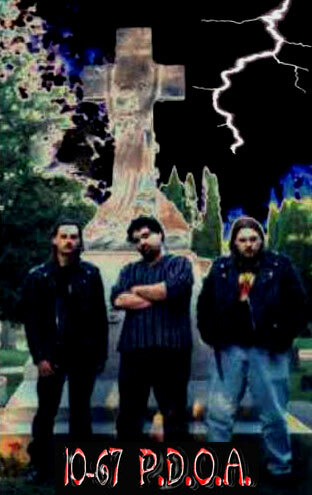 The EP cd received airplay from Mike on Midnight Metal 94.5 CHET FM Located in B.C., Canada. Currently 10-67 is working on eleven original songs and during this process, many changes to the music have been occurring.